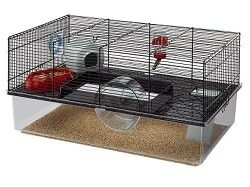 The Savic Hamster Heaven Metro Cage is probably the best hamster cage on the market today. It more than meets the size standards for the USA and Europe and is built to the highest quality of materials. 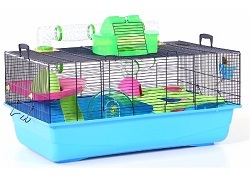 Unlike most flimsy poorly made cages – The hamster heaven represents an investment that will last for many years and the life spans of several pet hamsters. Many of us love our pet hamsters as we would a dog or a cat or even a member of our family and it can be difficult finding the best homes for them. Chain pet stores often stock completely unsuitable and inhumane cages in order to make maximum profits. 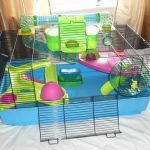 Luckily there are a handful of suitable cages on the market that are designed especially for hamster enthusiasts and the hamster heaven is one of them. 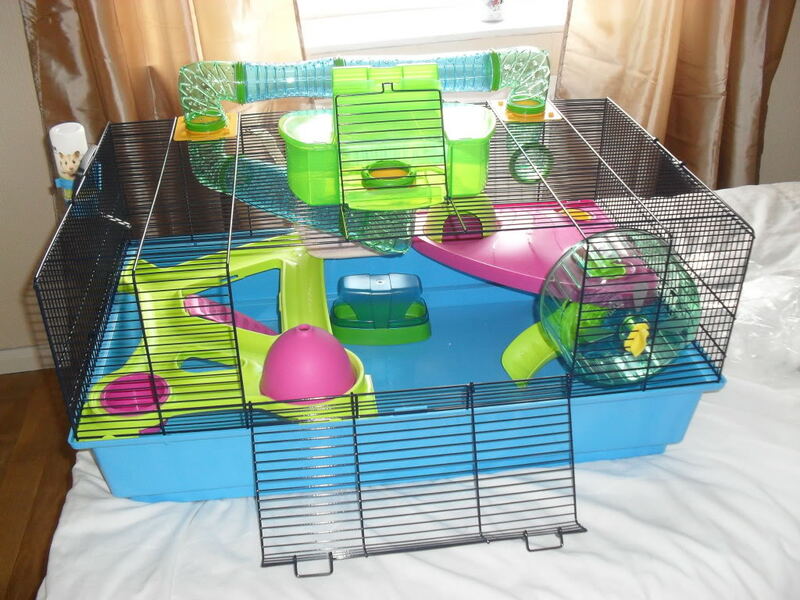 Your hamster will have a life of luxury in the hamster heaven and will surely feel safe and secure whilst being stimulated mentally and physically with all the climbing and playing that the cage provides. As previously mentioned, this cage more than meets the minimum size standards for a lone Syrian hamster or a pair of Dwarfs which is very important in providing their wellbeing. There have been studies that have proven stress on a hamster caused by inadequate surroundings can make them ill and even lead to shorter lives. The hamster heaven cage is built to a very high standard with a deep base tray with sturdy plastic allowing lots of digging and burrowing for your pet. The base is secured with good quality strong metal bars covered in black paint. The bars attach to the base with two secure clips making the cage very escape proof. 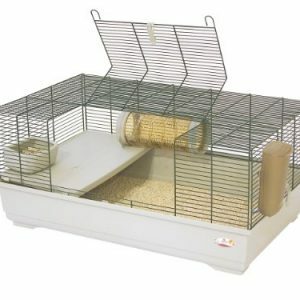 This cage is extremely safe for your pet hamster and is yet to present a safety issue. This is also true for elderly hamsters. The cage is made with animal safe plastics which are non-toxic and there are no sharp edges that present danger. You won’t need to worry about your pets being injured in the hamster heaven. The Savic Hamster heaven is extremely large and more than meets the minimum size standards for all countries and regions in the world. 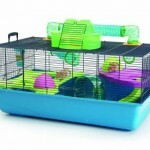 Your hamster will surely love the extra room and feel very much at home and at ease. The extra size allows you to provide lots of variety in terms of toys and accessories that you can provide for your pets. Size matters massively when trying to foster good relations between dwarf hamsters. The hamster heaven is great fun for hamsters. I’m confident this is one of the best hamster cages available today in terms of fun. 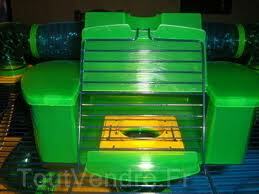 Your hamsters will surely love the multiple platforms, the slide and the wheel. The size of the base gives a lot of options in terms of third-party toy purchases as well as DIY toys. 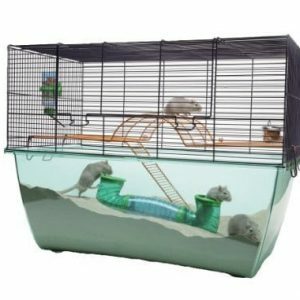 Hamsters love climbing and will surely be using the bars as climbing apparatus, the good thing about this cage is the platforms which means they will not fall as far compared to other more basic cages. The hamster heaven is quite easy to clean because it consists of a plastic base which can easily be emptied out into a trash bag. The tubes and platforms can take up a little extra time to be cleaned but they can easily be washed with a damp cloth. The tubes will be rather difficult and time consuming to clean if you are unlucky and you have a hamster that enjoys urinating in them. However most hamsters are clean and tend to go potty in a specific corner of the cage so you won’t need to worry about cleaning them often. 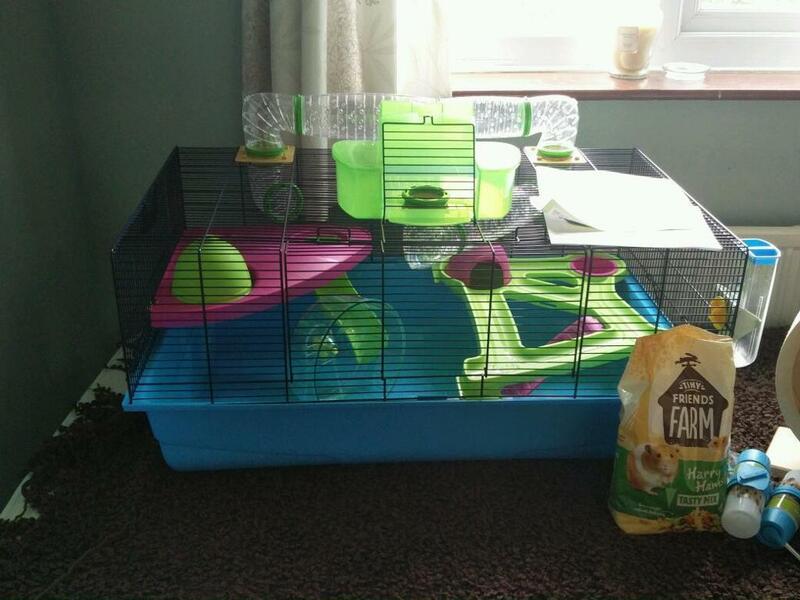 The hamster heaven is not the cheapest hamster cage however you do get what you pay for. If you imaging having hamsters for many years this cage would be a great investment which will last for a long time. Lots of cheaper cages are made poorly from sub-standard materials in Asia. The Savic Company is a quality brand originating from Belgium. Further savings can be had if you have not already purchased toys and accessories for your hamster as the hamster heaven comes with many things. Furthermore you will have excellent access to your hamster through a large front door and an additional access to the nesting area. 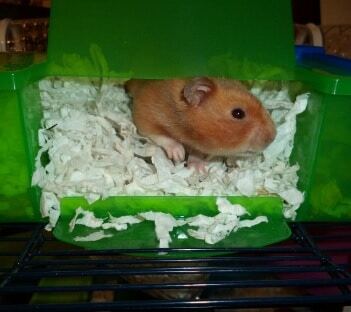 hamster will have access to the penthouse through a tunnel system. The tunnels have a lot of holes to ensure good ventilation. 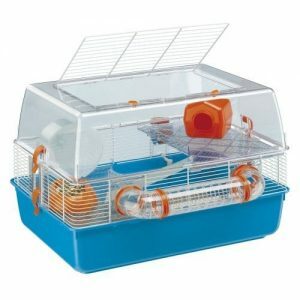 Recommended for Syrian Hamsters – This cage is primarily marketed towards the larger Syrian hamsters. It is also suitable for dwarf hamsters with adequate bar width however they might struggle getting up the wider diameter tubes. 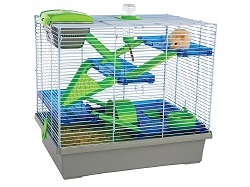 Noisey Wheel – The cage comes with a basic hamster exercise wheel that will squeak. A silent spinner wheel would be an excellent replacement. 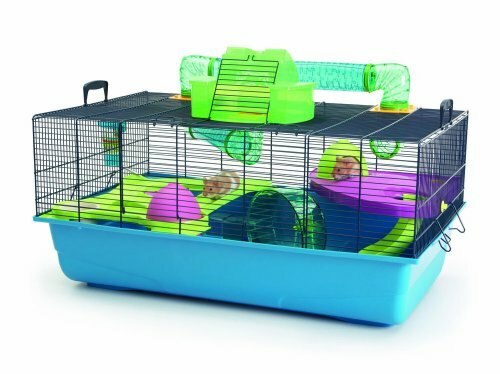 Not the cheapest cage available but definitely one of the best, the Savic hamster heaven represents a quality investment that will last for many years whilst allowing your pet hammy to thrive in safety. The quality of this product means it will last you for many successive pet hamsters down the years. 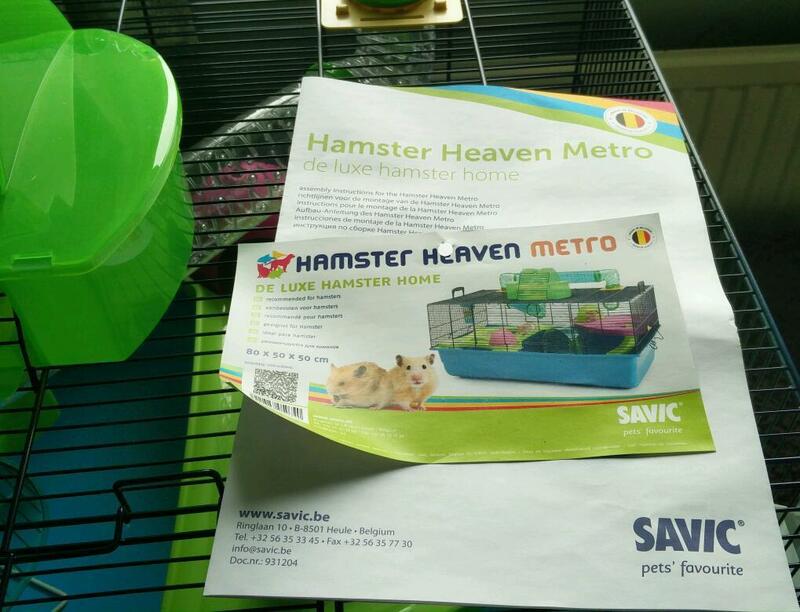 Be the first to review “Savic Hamster Heaven Metro Cage” Click here to cancel reply.